In the Groove Music Quiz December 10th 2015. 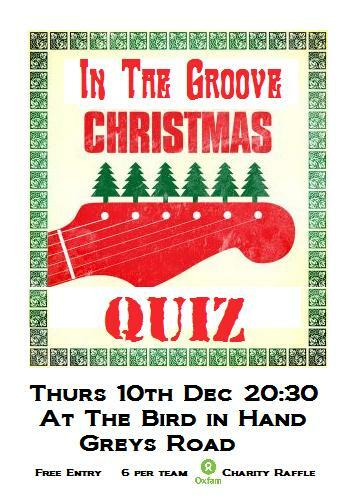 The next In The Groove Music Quiz takes place on Thursday December 10th at 20:30. It's that time of the year again...so expect a teeny weeny bit of festiveness.